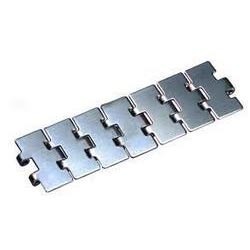 Providing you the best range of slat chain, thermoplastic slat chain, ss slat chain, conveyor chain and slat chain conveyors with effective & timely delivery. 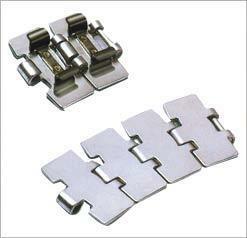 We are indulged in manufacturing and supplying wide gamut of Slat Chains. These chains are fabricated under the strict surveillance of our highly experienced professionals. In tandem with international quality standards, our range is highly demanded by clients owing to its superior quality and durability. 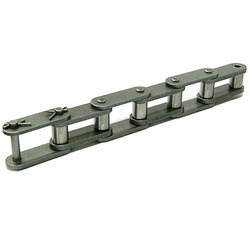 We are one of the leading distributors for the Plastic Slat chains. Thermoplastic Slat chain available in Exstock from 3 1/4", 4 1/2", 6", & 7 1/2" width. 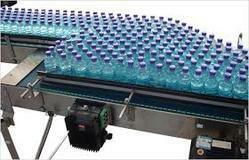 The chain are used in Beverages, Breweries, Distilleries and other OEM. 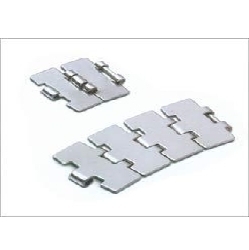 We offer our clients a diverse range of S.S.Slat Chain. Superior quality stainless steel and thermoplastic are used for manufacturing these chains. Available in various specifications, these chains are widely installed in a spectrum of machines as required by clients. 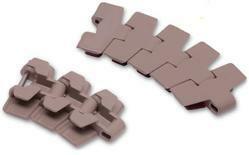 Looking for Slat Chain and Conveyor Components ?